Traditional and original bluegrass vocals and instrumentals. Available for wedding receptions, parties, festivals and special events. Please click here for more information. Mandolin, Guitar and add Bass or Banjo. Available for weddings, parties and special events. Mandolin quintet featuring a fresh new spin on music written for the mandolin ranging from contemporary to classical. Available for special events, festivals and concerts. Please click here for more information. Whether playing mandolin or octave mandolin at weddings, festivals or other special events, Bob is capable of switching from Old Time fiddle tunes, to Swing, Jazz, Classical, Italian or Bluegrass. Bob can also play your event solo, or as a duo, trio, quartet, quintet and full bluegrass band. Bob’s diverse musical background began in 1978 when he discovered the mandolin and began playing professionally. 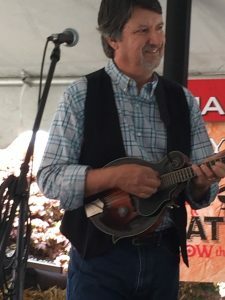 He became a member of the Atlanta music scene in 1982 and his love affair with the mandolin has taken him through many musical idioms including: blues, bluegrass, country, classical, and jazz. Bob is currently the leader of the 2016 GA Music Awards nominee 8th of January bluegrass band; also performing Bob Knysz Mandolin – mandolin soloist; with the Mandolin Consort of Atlanta mandolin quintet; 16 Strings – Duo Mandolin/Mandocello; president of the Atlanta Mandolin Society and concertmaster of the Atlanta Mandolin Orchestra as well as performing with other top players and groups in Atlanta and Chattanooga.